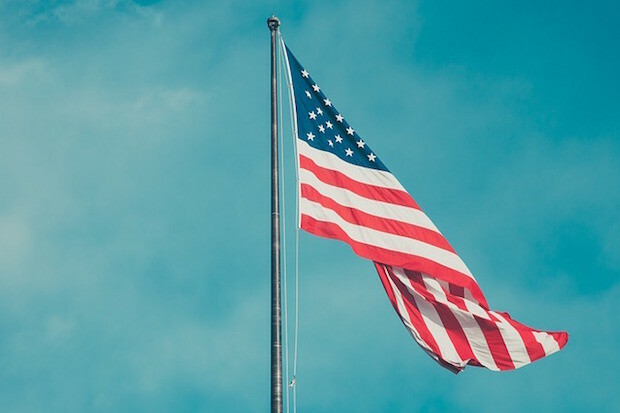 With under two months to go until the US elections, news organisations on both sides of the Atlantic have launched collaborations and partnerships to ensure their coverage of the event reaches and better informs a wider audience. In the United States, non-profit newsroom ProPublica recently announced Electionland, a collaboration with several organisations, including First Draft, the USA Today Network and the CUNY Graduate School of Journalism, to highlight problems such as long queues or malfunctioning polling machines voters might deal with on the day and make it easier for reporters to cover them as they happen. Electionland will gather data from a variety of sources, including Facebook Signal, Twitter and Google Trends, which will be verified by student journalists and turned into "real leads", Scott Klein, deputy managing editor at ProPublica, told Journalism.co.uk last week. And in Europe, seven publishers, members of the Leading European Newspaper Alliance (LENA) founded in March 2015, have teamed up to jointly cover the US election and their reporting will be available on dedicated spaces on their websites, with some of it published in the print editions as well. In total, twelve journalists from Die Welt in Germany, La Repubblica in Italy, Le Figaro in France, Le Soir in Belgium, El País in Spain, Tages-Anzeiger and La Tribune de Genève in Switzerland, will provide written coverage, as well as images, photos and real-time coverage on social media under the hashtag #EuropeGoesUS, which will be shared amongst the LENA network and translated in multiple languages. "Each LENA partner is also covering the US election individually," Javier Moreno Barber, president of LENA, told Journalism.co.uk via email. "The rationale behind this initiative is to provide more content to feed our websites, primarily, though some of it will also appear in our print editions. We aim to produce stories with a different angle than the one which will be filed on a daily basis by each permanent correspondent. Video and digital will be paramount." LENA covers all the costs involved in this initiative, including travel, accommodation and translating the material. In an interview with Nieman Lab last month, Moreno Barber explained this project is the first for which the alliance will cover translation costs – for previous, smaller collaborations between the papers, each publication paid for its own translations, with some members publishing more LENA content than others. Since #EuropeGoesUS went live officially on 11 September, the newspapers have published about a dozen stories online. The coverage can be filtered by correspondent or location through interactive maps of the US available on their websites. Examples include an article from La Repubblica correspondent Anna Lombardi about a group of Americans that are touring New York with Election Selection, a musical encouraging people to vote, as well as a series of interviews from Tages-Anzeiger reporter Fiona Enders with Denver locals on why they feel unable to identify with either of the presidential candidates. "We are giving our journalists free hand to find stories from the sidelines, which usually go under-reported due to a lack of resources. "Having 12 additional reporters during the campaign, on top of each newspaper’s correspondent(s), will allow for a more diverse, detailed and lively coverage which otherwise would not be affordable for each partner on its own," Moreno Barber said. The project will allow LENA to "test another way of making multimedia stories" and make use of the different organisations' editorial strengths to encourage better collaboration between the members of the alliance in the future. "We have other ongoing initiatives, such as a content exchange platform, video exchange hub, joint interviews, weekly op-eds running on all seven newspapers on Mondays, but nothing of this scale or journalistic ambition. "A year and a half after launching, we felt the US election was the right moment for LENA to attempt such a project," Moreno Barber added.